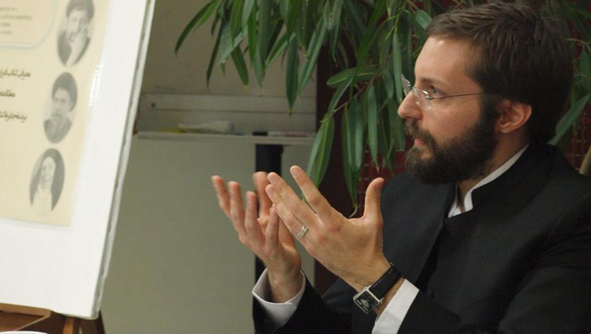 The study of the descent of the Prophet Muhammad has been a major research interest pursued by Dr. Raffaele Mauriello. The ‘Alids claim to descend from the Prophet Muhammad through his daughter Fatima and his cousin ‘Ali ibn Abi Talib. They are the elite family of Islam and have played major roles in Islamic history. ‘Alids have for centuries distinguished themselves from the rest of the population on the basis of a peculiar relationship with the past, a relation based on a long memory that has legitimated their bid for social, economic, political, cultural, and religious prominence. In the last decades, particularly since 1960s, ‘Alid members of the religious establishment have emerged as the main representatives and leaders of the Shi‘i communities worldwide: Muhsin al-Hakim (1889-1970), Abu ’l-Qasim al-Khu’i (1899-1992), Ruhollah Khomeini (1902-1989), Musà al-Sadr (1928-1978? 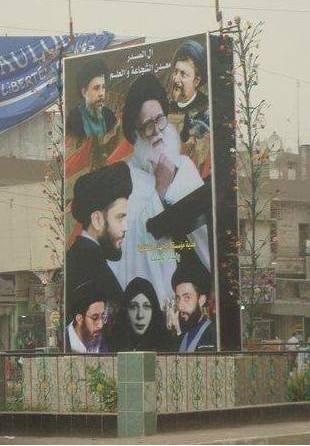 ), Muhammad Bahr al-‘Ulum (1928-), ‘Ali al-Sistani (1930-), Muhammad Husayn Fadlallah (1935-2010), Mahdi al-Hakim (1935-1988), Muhammad Baqir al-Sadr (1935-1980), Muhammad Baqir al-Hakim (1939-2003), ‘Ali Khamene’i (1939-), Muhammad Muhammad Sadiq al-Sadr (1943-1999), Muhammad Khatami (1943-), ‘Abd al-‘Aziz al-Hakim (1950-2009), Muhammad Taqi al-Khu’i (1958-1994), Hasan Nasrallah (1960-), ‘Abd al-Majid al-Khu’i (1962-2003), ‘Ammar al-Hakim (1971-), and Muqtadà al-Sadr (1974?-), they all are sayyids. Dr. Mauriello has in particular concentrated his researches on four eminent families of the Shi‘i religious establishment in the Near East: al-Sadr, al-Hakim, Bahr al-‘Ulum, and al-Khu’i. His main publication on this topic, a scholarly monograph under the title of Descendants of the Family of the Prophet in Contemporary History: A Case Study, the Šī'ī Religious Establishment of al-Nağaf (Iraq), in 2013 was awarded The World Prize for the Book of the Year of the Islamic Republic of Iran in the field of Islamic Studies. In his studies on the ‘Alids in contemporary history, Dr. Mauriello has not left unexplored the role of ‘Alid women, in particular those of the al-Sadr family. Among them, the eminent Iraqi scholar, educator, and public intellectual Amina Bint al-Hudà al-Sadr (1937-1980).